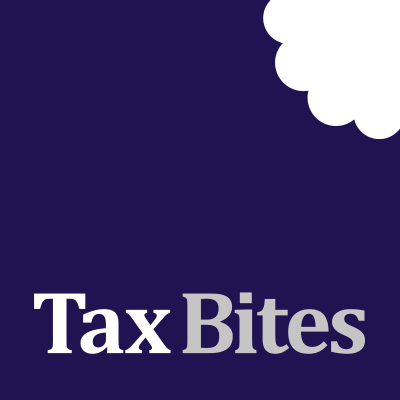 You will have seen previous tax bites explaining the benefit of coming clean on any previously undisclosed offshore tax issues under the ‘Requirement to Correct’ regime before 30 September 2018. Your clients may also now have received a letter from HMRC urging them to review their affairs for this reason. It is important that this is not overlooked. Despite the deadline approaching there is still time to rectify past mistakes. Provided notification to HMRC is undertaken via the Worldwide Disclosure Facility, the deadline of 30 September 2018 is simply to register with HMRC. The actual disclosure of the facts and figures has to be with HMRC within 90 days from the registration date. Therefore, they could have until 28 December 2018 to report the tax payable. Therefore, there is no reason for clients to bury their heads in the sand. If they do and fail to correct their tax, the penalty could be as much as 200% of the outstanding tax, potentially mitigated to 100% minimum. When making the disclosure under the Requirement to Correct regime, a view is taken on how far to look back (i.e. four, six or 20 years) and on the penalty position. This reporting can often be restricted to four years, and even zero penalties, depending on the circumstances. Mr Bean, who is UK resident, failed to report a taxable benefit over a 20-year period from an offshore retirement benefit scheme. This was due to a genuine error as Mr Bean wasn’t aware that such income was taxable in the UK. Mr Bean appointed appropriately qualified professionals to deal with his tax compliance affairs but did not inform the adviser of the income. Mr Bean submitted tax returns to HMRC annually. The mistake was a genuine error; there was no deliberate behaviour. Therefore, there can be no question of a 20 year look back on the basis of deliberate behaviour. As Mr Bean submitted tax returns annually (albeit containing errors) the ‘failure to notify’ provisions do not apply, which carry a default look back period of 20 years. This would be the unfortunate default position if Mr Bean did not prepare tax returns! This means that Mr Bean will be subject to either a four-year (if he can argue that reasonable care was taken) or a maximum six-year (if he admits the error was careless) assessment period. In terms of the penalties, under the Requirement to Correct regime Mr Bean could argue no penalties are due because he appointed appropriately qualified professionals to deal with his tax affairs. However, this might be tenuous given he did not inform the adviser about the income. HMRC may be more likely to accept a 10% to 15% penalty in these circumstances. However, if the disclosure is made after 1 October 2018 under the Failure to Correct regime, the new offshore penalty regime will apply, meaning that Mr Bean can expect to suffer a minimum penalty of 100% of the underpaid tax.